Yes... 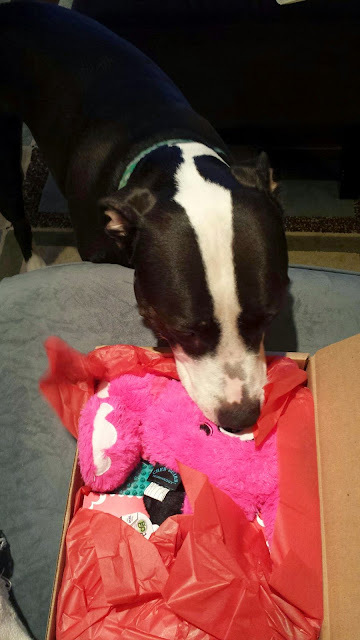 This month I will be reviewing 5 different pet subscription box offerings. 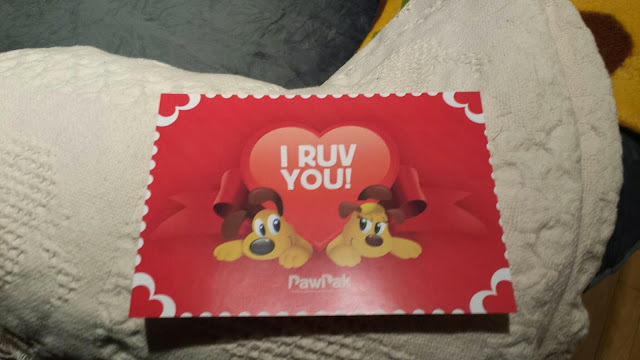 This month's box from PawPak is valentine themed and I will warn you now, I'm in love with it! 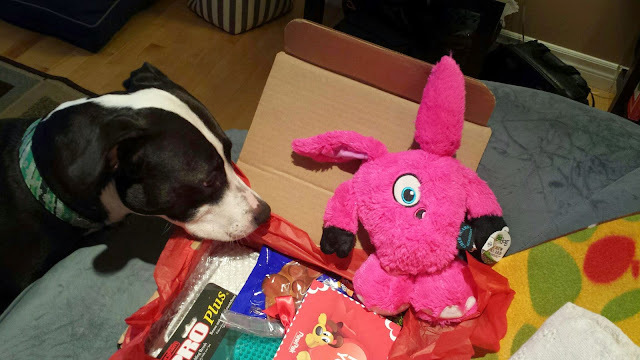 This is the 2nd PawPak box we've received and it was so full of stuff. 5 items and all were a hit with 'The Goo'. The 2 items were a hit with Ma. 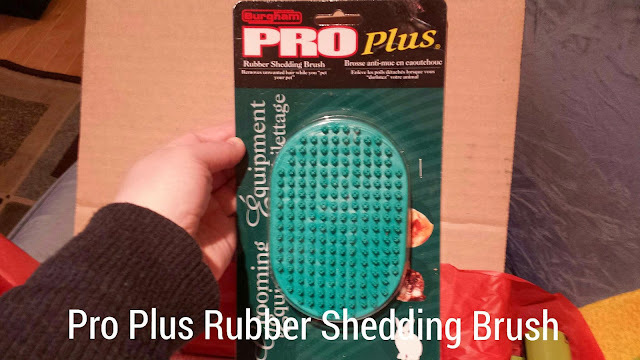 First up is the Pro Plus Rubber Shedding Brush from Burgham Sales Ltd out of Ontario. 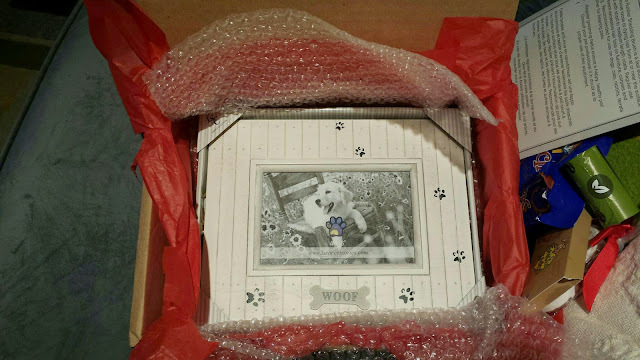 Next is the Doggie Picture Frame from LSC Accessories from New York. 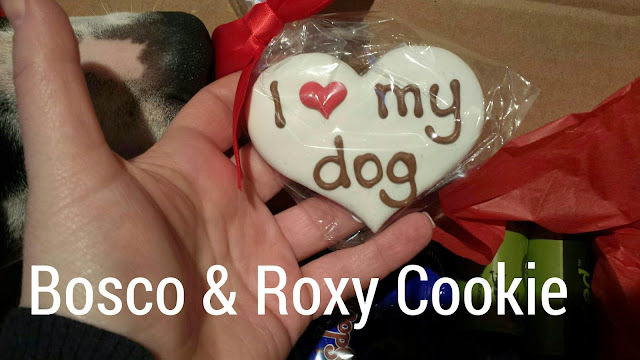 The always popular cookie from Bosco & Roxy's also from Ontario. Where did that nose appear from? 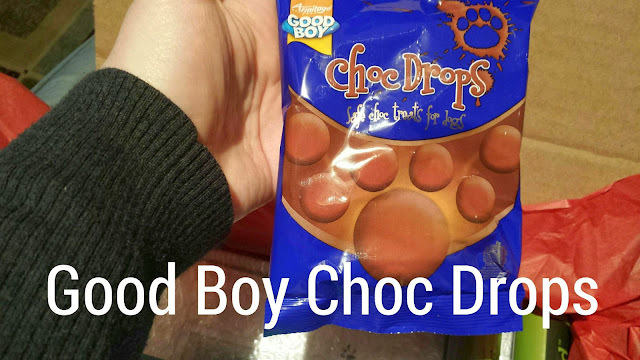 Chocolate Drops you say? Yes, from Armitages in the UK. Does not contain cocoa so it isn't toxic! She ate these with glee as I sat and ate a 1/2 of a brownie. 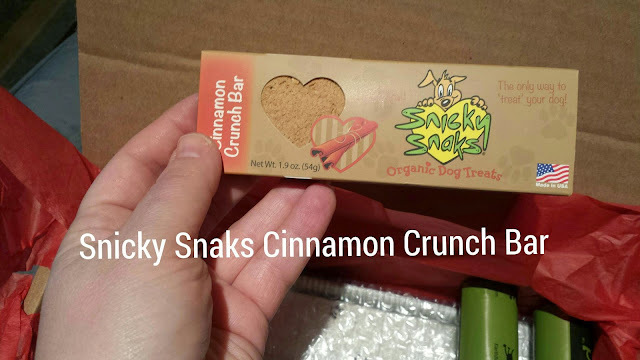 Cinnamon Crunch Bar from Snicky Snaks located in Montana. Yep... That's gone in her belly. 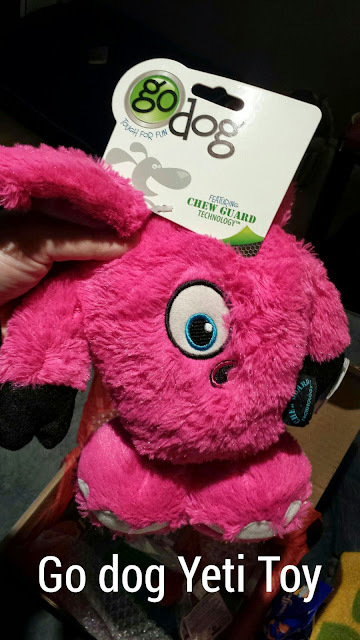 The cutest Yeti Toy from go dog. It's darned adorable! go dog is out of New Jersey. Wow... You are really pink! 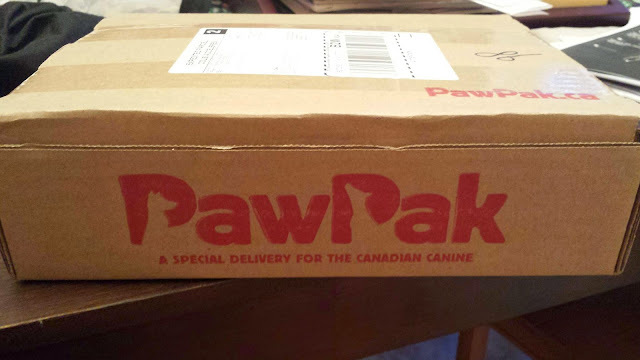 PawPak costs $34.95/month shipping included. If you subscribe to multiple months the costs are reduced to as little as $24.95 month. 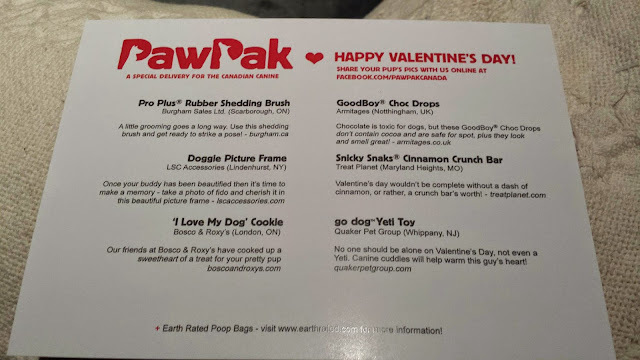 If you want to sign up and try for yourself, please sign up at pawpak.ca and use code GertieGoo12 for $5 off your first pack. 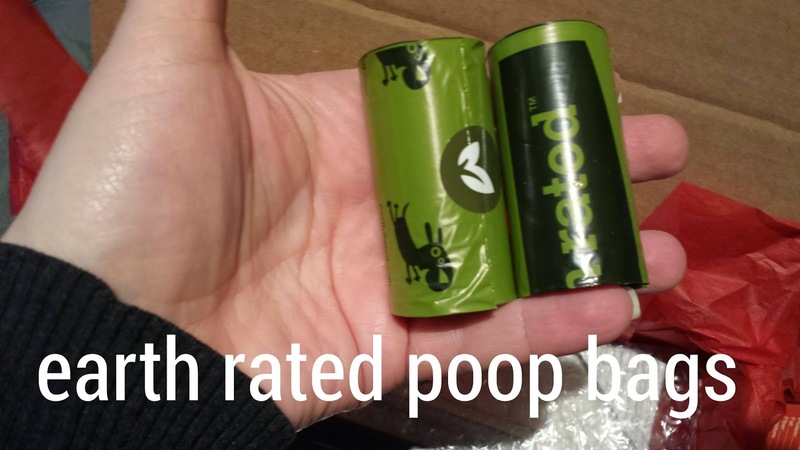 Here are my other PawPak Reviews.